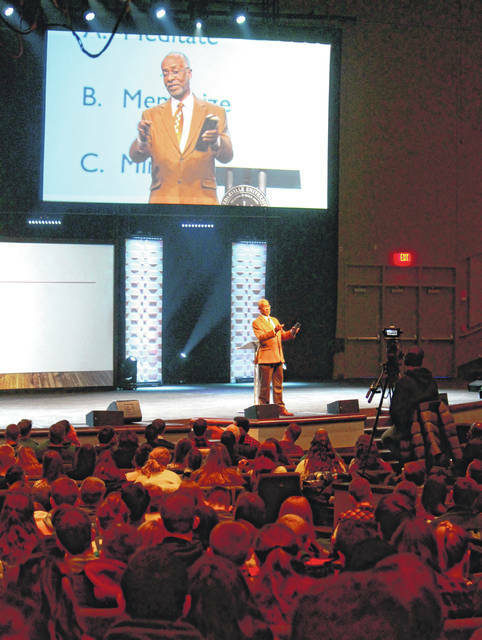 https://www.xeniagazette.com/wp-content/uploads/sites/32/2019/01/web1_Pastor.jpgAnna Bolton | Greene County News Dr. Allen McFarland, senior pastor of Calvary Evangelical Baptist Church in Portsmouth, Va., speaks during chapel Jan. 21, Martin Luther King Jr. Day, at Cedarville University. 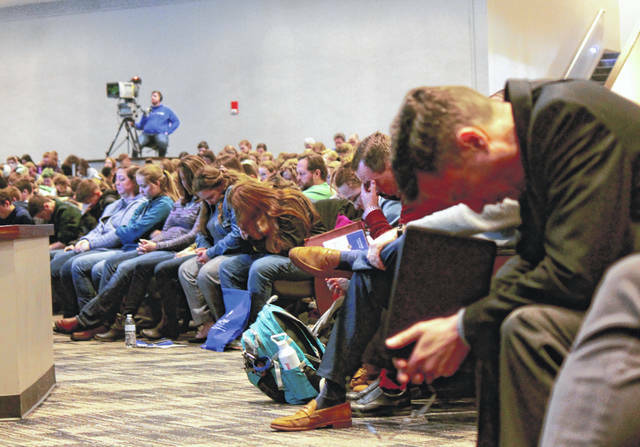 https://www.xeniagazette.com/wp-content/uploads/sites/32/2019/01/web1_Praying.jpgCedarville University students, faculty and staff members bow their heads in prayer. 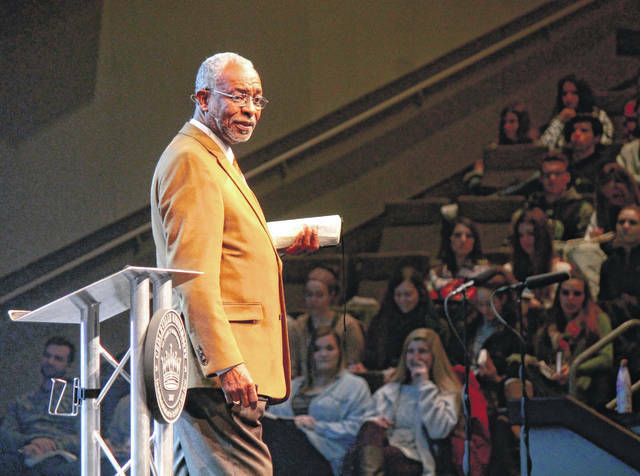 https://www.xeniagazette.com/wp-content/uploads/sites/32/2019/01/web1_CUchapel.jpgStudents listen in 10 a.m. chapel as Dr. Allen McFarland talks about diversity and making a difference.